We talked a little about the HTC One Mini and Max, and how rumours were flying wild. 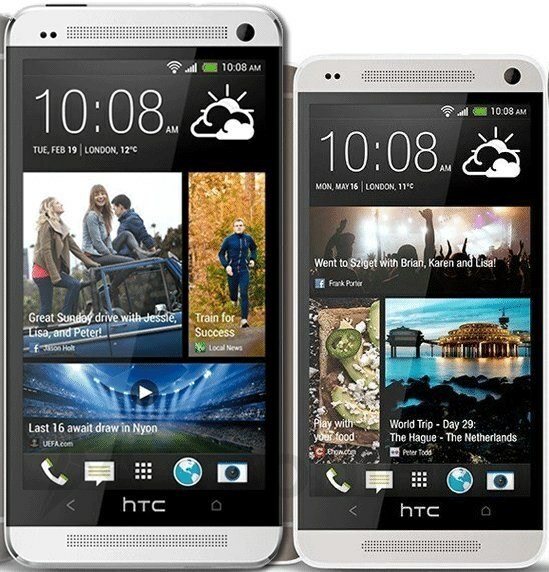 Today we're happy to announce the HTC One Mini has been confirmed while the Max is still in the air. The previous rumours were true about the device sporting a 4.3Inch display at 1280 x 720. The device however has been dumbed down a little bit to a dual-core 1.4Ghz instead of the standard 1.7Ghz Quad, it'll also only have 16GB internal storage. The mini will only have 1 GB of ram which to me might be a little too low, as Sense is known for being a little resource hungry. Is the new Sense 5 slim enough to be up to the challenge? No Canadian carrier has officially said they were going to have this phone in their lineup just yet, but knowing this phone is now official, anything can happen. Now we just need to keep our eyes peeled for the HTC Max to see if it'll be confirmed as well.